If you wanted to have a cooler,mango crush or panna was always in the fridge. 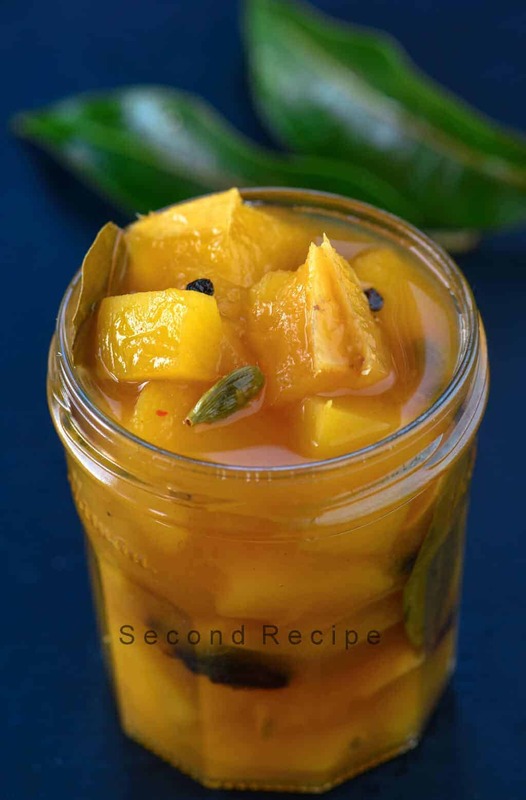 Mango & chickpea pickle is a traditional recipe from my MIL’s kitchen.One of the best sour pickles I have had are this and jackfruit one.Chunda and sweet mango pickle was always a favourite.Truly mum definitely made us foodies inspite of her being a working mum. Launji is perfect with channa masala or chole bhature. It also reminds me of mum always.She would make this every summer. Also, every time I would go back to insipid hostel food. You can also use this dip in wraps,eat it with any spicy curry or samosa or just have a spoonful. Boil water and add spices to it. Add raw mango and jaggery. Cook until mango is translucent. Store in clean glass jar in refridgerator. Note: This is a no sugar recipe.However if you cannot find jaggery, you can use palm sugar or raw sugar. Also, click here to see more recipe videos from our channel “Secondrecipe”.